Past president and long-serving Board of Director of the Musicians Club of New York, Dorothy Indenbaum, PhD., devoted her life to music and music education. Throughout her career as a pianist, musicologist and lecturer, she was a champion of living composers. 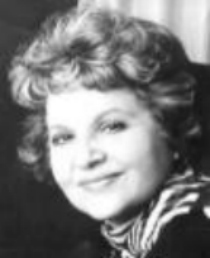 She served on the Board of The Aviva Players, an organization dedicated to the promotion of women composers, for 25 years and was their long-serving Associate Artistic Director. Her books (still available through Amazon) include The Joy of Creation: The Story of Clara Schumann, and Gifted Sister: The Story of Fanny Mendelssohn, and she was a contributor to Grove’s Dictionary of Women Composers. As the long-serving Music Director of the classical concert series at the Harmonie Club in Manhattan, she insisted that at least one woman composer's work be included in every concert. Formerly on the faculties of The Dalcroze School of Music and Hunter College, Dr. Indenbaum served until her death in 2014 as chairman of The Dalcroze School of Music Board of Trustees. As a licensed Dalcroze clinician she led workshops at Washington and Tulane Universities, Montclair, Wagner and Manhattanville Colleges. She held a bachelor of arts from Brooklyn College, a master of science from Queens College, and a doctorate from NYU. Dorothy was honored at the Musicians Club of New York's December 12, 1992, Olga Koussevitzky Memorial Concert for her research into the music and life of Mary Howe. (December 12, 1992 Concert, honoring Dorothy Indenbaum Scholarship).